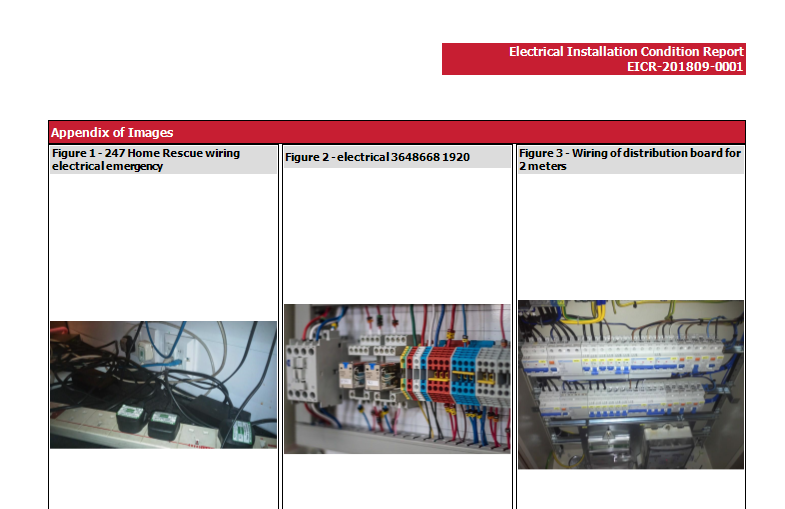 This version has all the changes to the electrical forms in accordance with the new 18th Edition of BS 7671. These changes have also been available since September in our pre-release version. The changes to the latest fire alarm certificates to BS 5839-1 as well as bringing back the domestic certificate from BS 5839-6. Again, these have been available since September in our pre-release version. You can now attach photos to EICRs which will be printed in the issued certificate and which are referenced against the observations. You can add a title and details against each photo and these will also be printed in the issued certificate. 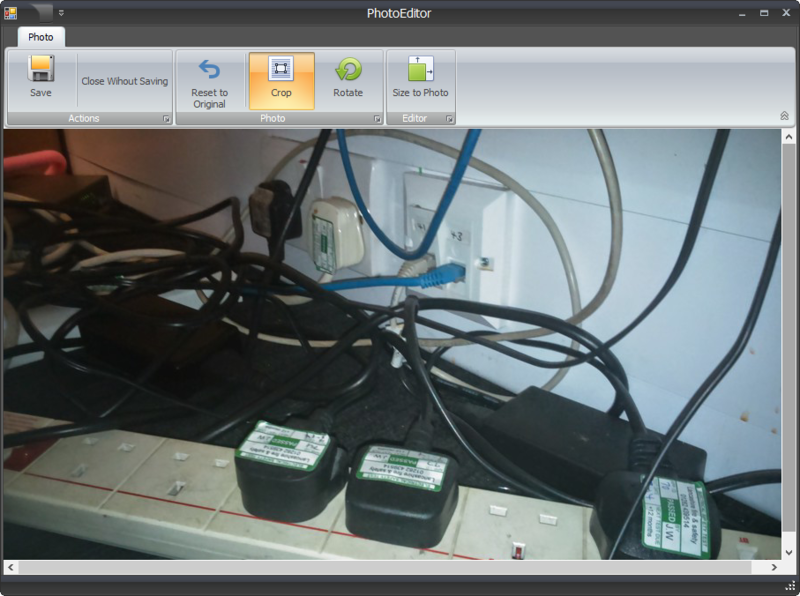 You can also set whether to show the photos in large, medium or small format in the issued certificate. Lastly, you can also edit the photo directly inside Pirform by rotating or cropping it to make it appear as you want in the issued certificate. We have tidied the appearence of the certificates in the main form to make it appear cleaner and easier to read. Windows Vista, Windows 8 and Windows 8.1 are no longer supported by Microsoft. This version will not install on those versions of Windows. This version also requires a Windows component called the Dotnet Framework 4.7.1. This is already installed on any updated Windows 10 machine and our installer will prompt you to install if that is not already on your system. New: now calculates the max Zs values when creating a new cert from an older version. New: added configurations elements to allow adjusting the default file names for exported certificates. Change: improved the automatic value setting for supply AC/DC fields. Change: certificate repair has been improved to make orphaned intelligence observations able to be removed by the user. Change: errors during auto save are reported subtly and no longer stop you working. Change: certificate window is wider when first opened. Change: you can now enter own values for circuit conductor live. Fix: this version should address out of memory errors that caused the program to close. Fix: the schedule item control now shows the first item when first opened. Fix: the engineer control used to clear the display when the mouse hovered over it. On top of these there is a new experimental feature to allow importing export files from a folder. 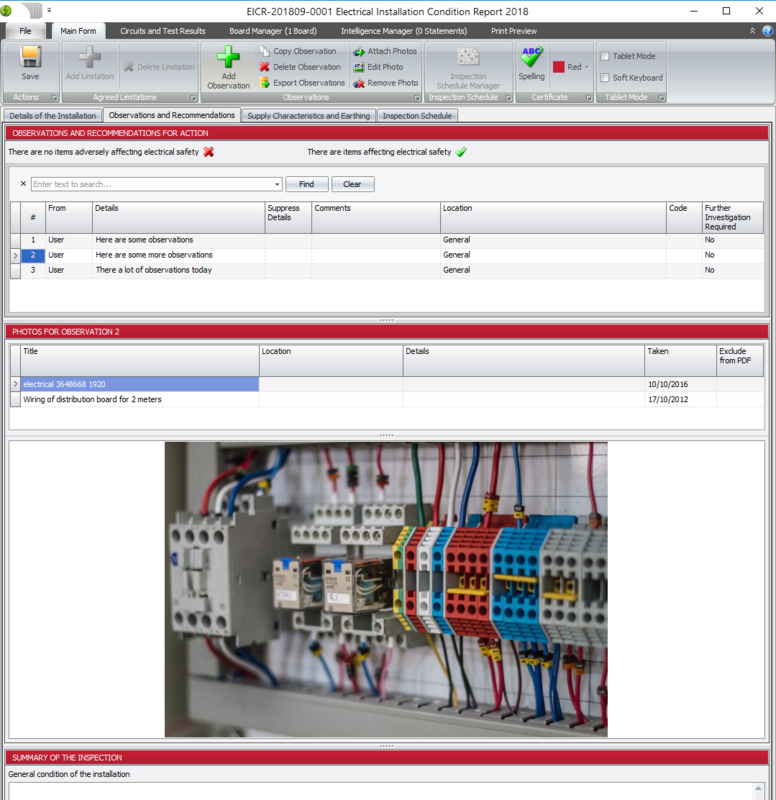 In the list view in Board Manager you can now select more than one board at a time. 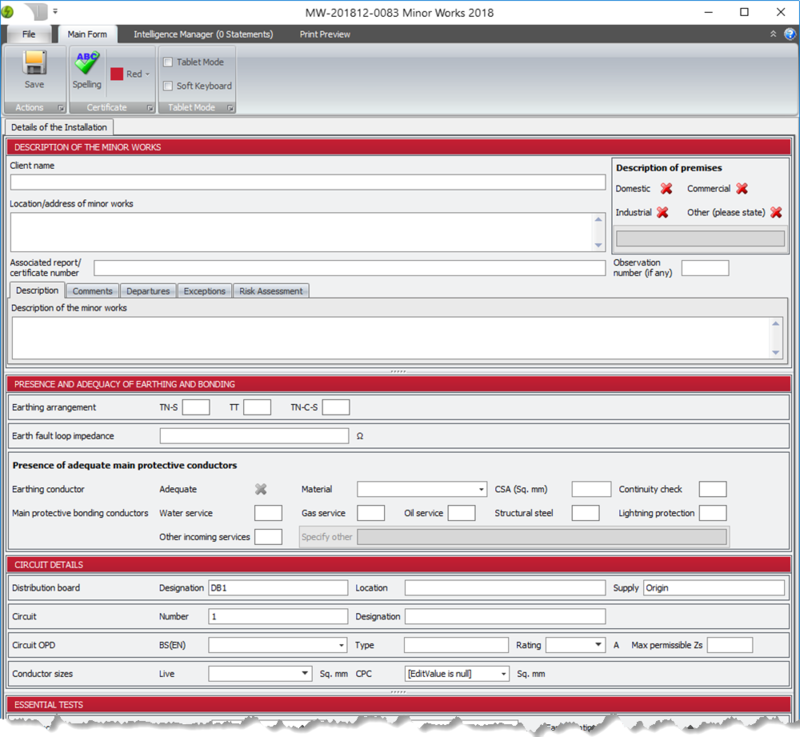 The available actions, such as Delete Board will act on all the selected boards. You can also put one or more text markers called "tags" against each board and use that to select the boards that have or don't have those markers. This feature will be added to circuits in a future release. Fix: typo in report heading in EIC 2015 and 2018. 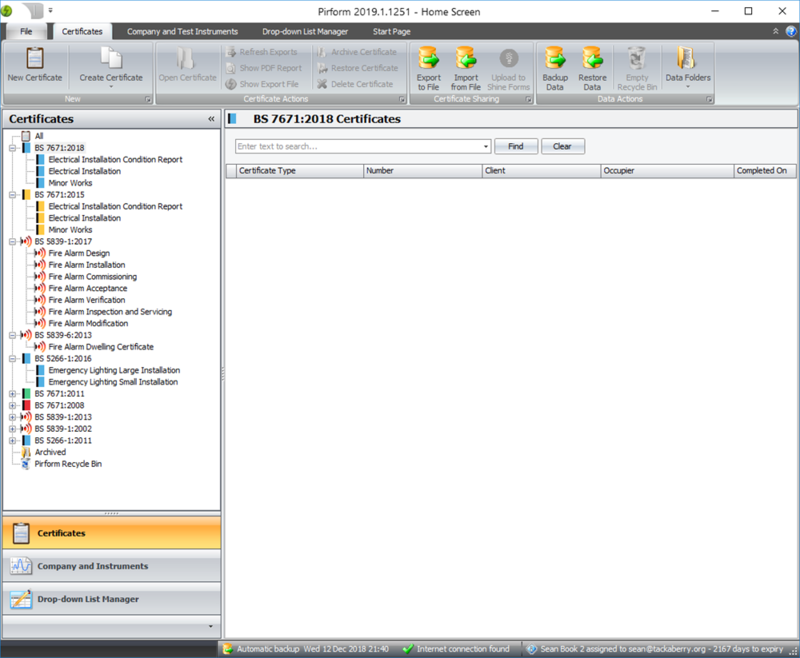 Fix: EIC observations were not showing in reports and the setting could not be changed at the certificate level.